BEAUTIFUL WELL WATER/SEPTIC LOT IN AREA OF NICE HOMES. A TOUCH OF COUNTRY BUT JUST A SHORT DRIVE TO SCHOOLS, PARKS, SHOPPING AND THE NEW ST JOHNS HERITAGE PARKWAY. EASY TO GET TO JUST OFF THE MAIN ROAD. PAVED ROADS THROUGHOUT THE NEIGHBORHOOD. TAKE A DRIVE BY! Listing provided by Cheryl Smith Realty, Inc. Copyright 2019 Multiple Listing Service of South Brevard, Inc. and Space Coast Association of REALTORS, Inc. All rights reserved. 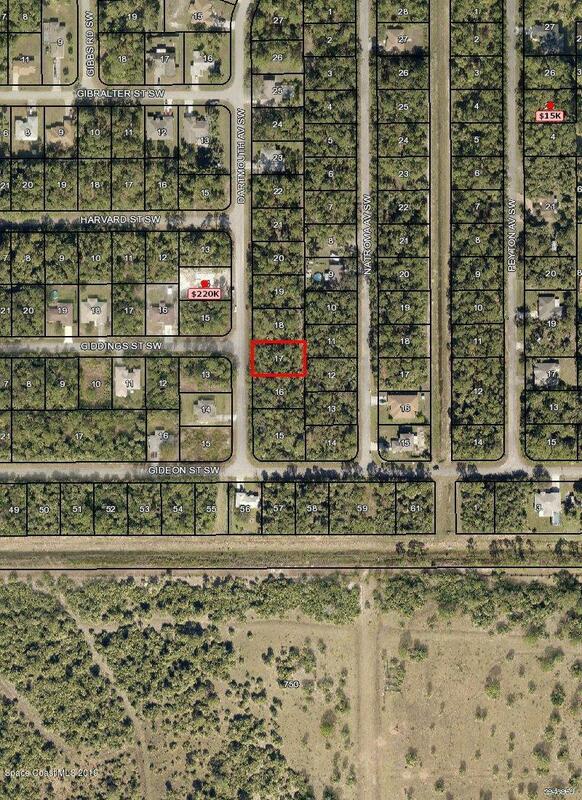 881 Dartmouth Ave Sw is a Vacant Residential in Palm Bay. It sits on 0.23 acres of land.